We have extensive experience working with clients in the Aerospace and Defense industry. 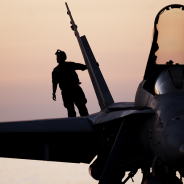 Our A&D automation experiences includes providing control system solutions to the Department of Defense and the United States Navy for over six years. CAC has gained the expertise to solve the complex and demanding system integration issues faced by those in the A&D field.